This may come as a surprise to your average Canadian, but Canada is a haven for tax fraud. Transparency International released a report this week, judging the effectiveness of the commitments made at the London Anti-Corruption Summit in the spring. The report was a little dry, but an interesting thing was revealed – Canada made no commitment to start punishing professional enablers of fraud. In fact, they noted all of the commitments Canada made were “not new”. Does it seem odd that we would send people to say we’re not cracking down on enablers of fraud? Well it shouldn’t. Canada has actively promoted itself as an entry to lower tax jurisdictions for decades. Unfortunately, the opaque banking system we created to allow this also attracts fraudsters. By turning a blind eye to international tax fraud, regular Canadians are starting to pay the price of these crimes with their homes. One of the worst kept secrets in the business world is that Canada is a massive tax haven. We’re one of the few countries in the world where people pay more in taxes than companies. As interesting as that is, that’s not the reason it’s so attractive up here. The real reason is, unlike in the US, we don’t charge taxes on earnings of foreign subsidiaries. Sounds like gibberish? In more basic terms, companies with foreign branches don’t pay taxes on international income. If you’re large enough to have branches internationally, your income abroad isn’t taxed here. This is probably why the CRA cracks down on freelancers, realtors, and tradespeople. Small businesses don’t usually ship their money abroad, so they’re an easy target. Canada doesn’t just tolerate tax evasion, we legalized it. 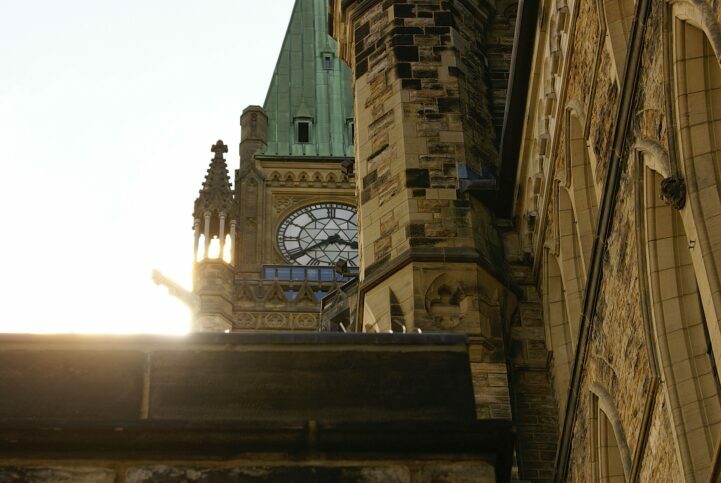 The Canadian government has been creating legal and banking frameworks to encourage it. The Canadian government signed 92 tax treaties as of 2016. These treaties are designed to keep Canada competitive in theory. In actuality, they’re ways for Canadian companies to move money abroad tax free. Likely why in the late 80’s, we started our tax treaties with Barbados, Jamaica, and Malta – all nice places, but not exactly the Silicon Valleys of the world. It’s normally difficult to move money from your tax jurisdiction abroad – but not in Canada. The Big 5 banks all have divisions located in so-called tax havens. They pitch them as making it more convenient for our large immigrant population to bank. Although, with the majority of our immigrants coming from China and India, why wouldn’t they open locations there? Instead opting for branches in Cayman Islands, The Bahamas, and Luxembourg. The above chart shows the top 9 countries Canadians invest in, after the US. Six of them are often referred to as tax havens. Two of them are well-known starting points to other tax havens. The UK is a broad term, but it fails to separate places like Isle of Man – another known tax haven considered a part of the UK. Startup businesses in these places must be booming. WTF Does This Have To Do With Housing? Tax evaders are using homes to bring money from high tax jurisdictions, into Canada. Since they can’t just move fat wads of cash without attracting scrutiny, they’ve come up with several techniques. Using soft assets that don’t have fixed trade values (like homes) is one of the easiest ways to do it. Smurfing, or structuring, is one of the most effective ways of moving money to Canada – it’s also a method popular with drug dealers, and human traffickers. Large amounts of cash are broken down into deposits small enough to not attract regulatory scrutiny. That cash is then assembled into a single account, or used to pay a mortgage. While it sounds complicated, it’s not. Heck, Canadian banks will even help you figure it out. 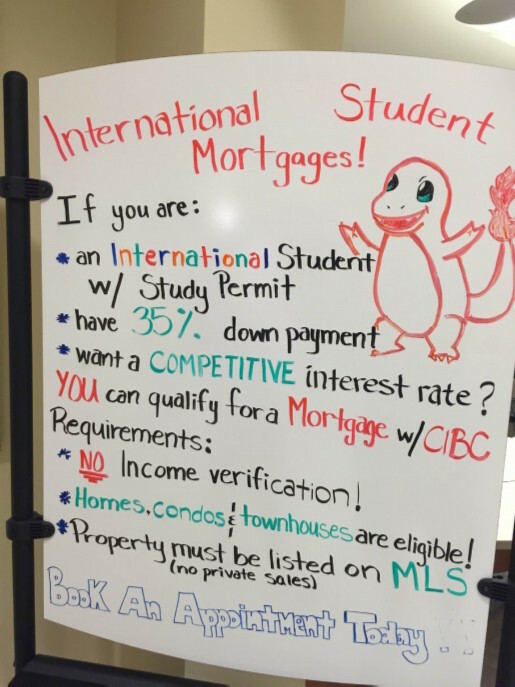 Sign at CIBC branch offering international students mortgages with no income verification – triple underlined. Photo via Greater Fool, used with permission. Thanks Garth! Most of this seemed like a kooky conspiracy theory until a wrongful dismissal case at CIBC revealed just how routine of a process this is. Then you realize, if you can only export $50k/year from China…how does someone like a visiting UBC student buy a $31.1M house in Vancouver? If a Canadian bank was respecting China’s capital control laws, it would take 622 years to pay off that home. I’m not sure how that works, but last time I checked you can only get a 35 year mortgage in Canada. I’m not saying all homes being purchased are being used for nefarious reasons. However, 10,000+ homes in Vancouver are empty, and teardowns are going for $3 million+. It’s a nice city, but not that nice. Canada does attract legitimate uses of our low taxation scheme. Burger King and Valeant are both excellent examples of legitimate companies using a tax inversion scheme to lower their tax rate. And I’m sure whatever Senator Pana Merchant’s husband is doing in Cook Island is legit as well. Heck, even the 1,317 Canadians named in the Panama Papers could be legitimate users. These aren’t the people I’m referring too. I’m referring to people that intentionally exploit our system. The people that know that Canada provides obfuscation from their home countries. While I’m not naming names, a quick look at BC speculators, people accused of misappropriating assets from foreign countries, and people that might be cheating on their income could provide you with an idea of who may be doing this. People who intentionally exploit our system have a direct impact on the Canadian economy. We get screwed twice. Home prices get inflated, not because these people want to live in them, but they’re giant vaults to move money. A second time, because they pay little to no domestic taxes. This forces hard working middle-class Canadians to carry their tax burden. Canada’s lack of commitment to crackdown on professionals enabling international tax fraud isn’t just a simple error. It’s an intentional move to help a small group of people, at the expense of Canadians and people legitimately seeking immigration here. Think we need to crack down on tax fraud? Why not let our fearless leaders know with a tweet! Note: Prime Minister Trudeau’s offices were contacted for comment, his communications officers spent over three weeks going back and forth on whether housing is a partisan issue or not. They are still deciding which officer will ask him the questions. Cool. *Bahamas 2011 is an estimate, because the Canadian government considers the amount classified. That’s not weird at all, is it? Why would we? Members of government are the ones stashing their money offshore. Why would they want to crack down on that? and the bigots in canada are always accusing FN of being corrupt. you all need to shift your attention to what your govt is doing to **** you over bc FN aren’t even on the radar where that’s concerned.